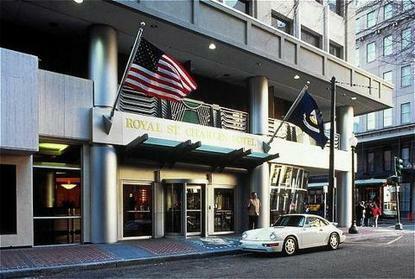 A contemporary styled hotel with modern amenities - the Royal St Charles Hotel is one of New Orleans upscale boutique hotels. Located only 1 block form the French Quarter - near the Riverwalk - Aquarium of the Americas and Harrahs casino - this hotel is a perfect choice for business or pleasure. The Royal St Charles Hotel invites you to enjoy a relaxing stay with us on your next visit to New orleans.